The construction industry has one of the highest worker injury rates of any industry in Illinois. On average, 1 in 5 workplace fatalities occur as a direct result of a construction site accident. Construction accidents result from the unsafe use of heavy equipment, machines, scaffolds, and ladders. Accidents at construction sites arise due to dangerous equipment or the lack of proper training and supervision of others at the work site. All too often, preventable injuries at construction sites result from falls, explosions, burns, electrocution, exposure to toxins and asphyxiation. Unfortunately, regulations imposed by the Occupational Safety and Health Administration (OSHA) often fall short of insuring a safe work site. If you or a loved one has suffered an injury or loss as a result of a construction accident, contact the knowledgeable Illinois personal injury lawyers at John J. Malm & Associates. Our law firm has successfully brought and settled claims for our clients' serious injuries after a construction-related accident, and we have the legal knowledge, engineering resources, and experience to help you get the compensation you deserve. Construction accident, workplace injury, negligence, product liability. Kane County, Illinois. A confidential settlement was reached by John J. Malm on behalf of a victim of a construction accident. The accident involved a 23 year-old man who was seriously injured in a fall as a result of a hydraulic lift accident. The young man, a journeyman electrician, was operating the lift at a height of 30 feet installing electrical wiring near the ceiling of a factory building when the lift suddenly collapsed, causing him to fall to the ground. An investigation into the cause of the sudden lift collapse showed that a pin fell out of the lift during operation causing the man's fall. What Type of Injuries Most Often Occur in Construction Site Accidents? How are Construction-Related Accident Claims Handled in Illinois? In Illinois, construction accident claims may arise under both Workers' Compensation and negligence theories. There are multiple parties that may be held liable when a construction accident occurs, including employers, property owners, architects, and contractors, as well as manufacturers, servicers, and suppliers of equipment. Identifying responsible third parties is an essential part of investigating and pursuing construction accident cases. First, a Workers' Compensation claim may be filed against the employer. In Illinois, Workers' Compensation benefits may provide for payment of medical expenses, lost wages, and a lump-sum payment when injuries are suffered as a result of a construction accident. Unlike other personal injury cases, Workers' Compensation benefits are paid by an employer regardless who is "at fault" for the construction accident. The injured worker and his family may also have a claim against responsible third parties at the work site. Individuals and organizations performing work at a construction site who may be liable include the site owner, architects and engineering professionals, contractors, construction managers and manufacturers of construction machinery, or equipment. 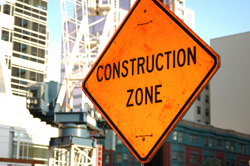 Subcontractors may also be responsible for unsafe conditions at a work site. It is the responsibility of the general contractor and the subcontractor to maintain a safe work site and to warn others at the site of any hazards that may exist there. What Steps Should I Take if I Suffered Injuries as a Result of a Construction Accident? Seek medical attention in a hospital emergency room. Report the incident to the site supervisor and your employer immediately. Avoid speaking with any insurance representatives or investigators before consulting with legal counsel. Consult with knowledgeable legal counsel to ensure that the scene can be inspected and vital evidence can be documented, photographed, and preserved for analysis. What Types of Monetary "Damages" can be Recovered in a Construction Accident? The knowledgeable construction accident lawyers at John J. Malm & Associates have successfully resolved complicated construction site accident cases for our clients. We are a team of experienced personal injury lawyers who represent individuals and families who have suffered an injury or loss due to an accident. You may be entitled to a substantial settlement if you have been injured. If you have questions about construction accident settlements, call 630-527-4177, or 312-422-6855, and speak with Attorney John J. Malm and his team today.